The “single shot” that underpins Alejandro González Iñárritu’s new movie, Birdman or (The Unexpected Virtue of Ignorance), is an immersive, visceral experience, form at its most vital and emotional. A cinematic conceit famously conducted by Hitchcock with Rope back in 1948, and then flirted with, patchily, in decades, Iñárritu and his collaborators’ accomplishment is realized with more fullness and audacity than any of its precedents. It’s what we talk about when we talk about movie magic. 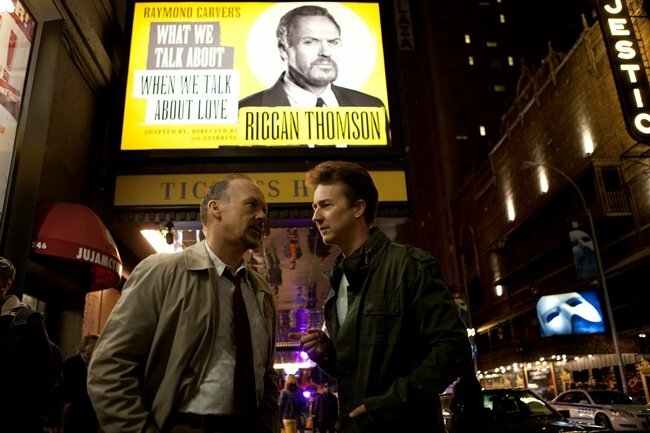 While every cog in the Birdman machinery whirs along at a perfect speed (from Emmanuel Lubezki’s vibrant digital cinematography, to the larger-than-life performances from Michael Keaton, Edward Norton, and Emma Stone), a vital component in pulling off the trick was the post-production department. Editors Stephen Mirrione (Academy Award-winner, Traffic) and Douglas Crise (Ocean’s Eleven, Ocean’s Twelve, Spring Breakers) are longtime collaborators with Iñárritu (the three worked together on 21 Grams and Babel), but a project like this required a more unusual approach. Most editing aims to be “invisible,” but how do you stitch together a movie that, more than others, has to keep its seams entirely hidden? 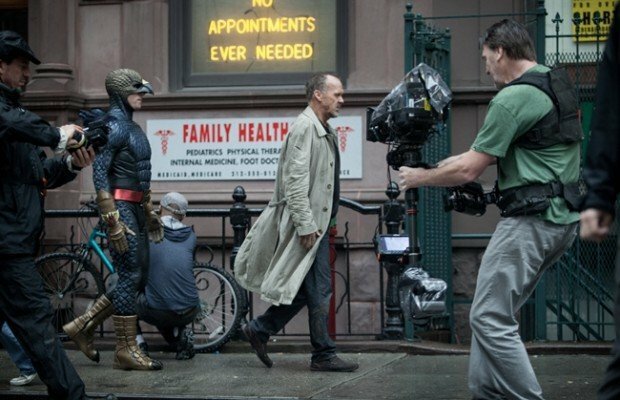 In our interview, the pair explains how editing fits into Birdman’s live-wire equation, from early rehearsals with space (the film is set entirely in and around a theater in New York) to coordinating the workflow between production and visual effects during the 30-day shoot. Patrick Maxwell, MovieMaker Magazine (MM): When did you guys first hear about the project from Alejandro? Stephen Mirrione (SM): I want to say it was a couple of years ago. It was right after we finished Biutiful and he thought that he was going to get [Iñárritu’s next project] The Revenant going fairly quickly. Something happened that put that on hold, then pretty quickly after that, I got a call from him saying that he was probably going to be able to go soon with something. But he wasn’t sure, and I had two other movies that I had committed to doing. So when we talked about the schedule, he wanted me to help find an editor. I said, “Well, what about Doug?” We had worked together on Babel and Alejandro knew him from working in my crew for so long. We talked about it and he thought that was a good idea, so at that point I was able to stay on, and Doug got involved as well. MM: This film took a lot more careful planning than your traditional feature film, and you were working with the table read and rehearsal footage. Can you talk about the pre-production and pre-visualization process? SM: A lot of that was consulting with Alejandro in terms of giving him tools that he might need to make decisions and adjustments. So we started with the table read rehearsal. Douglas Crise (DC): I didn’t come on ’til the actual shooting started. I had to cut some rehearsal things together, but when I came on, it was probably a couple days before the actual principal photography started. SM: Rehearsal spent at least a week in Los Angeles, on a stage. They had started to block out and figure out what the space would be and what kind of moves they could do. The cast was around for that as well. And then when they moved to New York—I’m not sure how many weeks they did this—they actually created a rehearsal space that was designed. They knew where they were going to be shooting, so they actually recreated the spaces and the dimensions of those spaces in a rehearsal stage so that they could be more precise. DC: They even went up on some decks throughout the real location. Somehow they got to go up on the rooftop for the rehearsal and were shooting up there. MM: I know everything was taped out on the sound stage very precisely for camera crew, actors, and the choreography. SM: The trade-off for that is that you’re spending that extra time in rehearsal, because you don’t really have the luxury of getting it wrong and being able to go back and do it again. You don’t get as much time to shoot, and that was part of it. They knew they had a really short window with only 30 days of production. 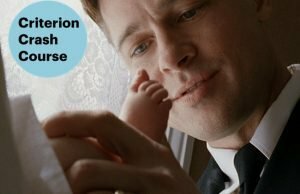 MM: Can you talk about how you adjusted rhythm and the pacing, even though the rhythm and pacing may be pretty locked according to the success of each take? How many takes did they have to throw out, versus the number that worked? SM: We don’t want to disrupt the illusion, but I will say that they did a lot of takes, and the length of those takes was probably longer than you would think they were. Everything was much more front-loaded. Doug spent a lot of time on set with Alejandro, showing him things every day so that he could then make adjustments. DC: The day basically started with shooting a section of the film. Even after all their rehearsal [before production], they would still rehearse for most of the morning before they’d actually shoot something. And then run through all the blocking and do it, do it, do it. Then, they would buzz off a bunch of takes, and it would be a matter of figuring it out. The next day, I’d see what they did, visit Alejandro, and he would go over things with me. “Can we try to do this to combine the takes?” Then we’d see how it was going to go with the next thing. One disadvantage is that they had to shoot stuff on the constructed stage first before they actually went to the real theater. Alejandro normally shoots his movies fairly chronologically, but this one couldn’t be shot in order for that reason. SM: In terms of rhythm and pacing, Alejandro had given us a lot of drum tracks that he had recorded with [Birdman composer] Antonio Sanchez, which ultimately ended up being the soundtrack to the film. He knew that sound and music would be a tool for us as a method of adjusting pacing, the tone, and all the things that you take for granted. You get to go in and completely redesign the point-of-view of a scene, and so on, in post. MM: Did you have input on the use of mirrors to simulate the single shot? I assume with the moving camera team, what we see in the mirror is actually a different shot or the crew was rotoscoped out. SM: We weren’t involved so much with how they designed the shots. Sometimes Alejandro would shoot a couple of different versions of something with the ability to swap something out, or just have conversations about which character we are on at a certain point versus another, but in terms of the use of the mirrors for the coverage and everything else, that was just part of Alejandro’s design. MM: In terms of workflow, did this film have a different setup given the long takes and the intense collaboration with visual effects? Or were you able to be successful with a traditional workflow? DC: It was pretty traditional. I had my assistant working with me in New York, and we received footage from the day before. They were shooting on an ARRI Alexa, so that stuff was converted and brought into the lab and I’d do my thing. We did have a visual effects guy on set, helping them to do the tricks they needed to do behind the scenes, whom I would consult. It was a pretty standard workflow in that respect. 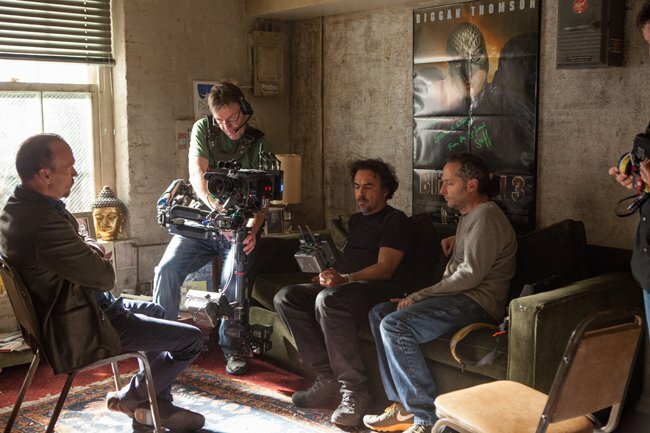 SM: A crew is always adapting and adjusting to idiosyncratic workflows here and there, and this certainly was that. The only big difference is that because of the short-window shooting, the production team was moving fairly quickly. A few weeks after they finished shooting, we were pretty far along with the cut itself, and at that point we really transitioned into visual-effects mode, where editorial was kind of done for the moment. Then, the visual effects editor and an in-house compositor spent the summer, essentially, doing everything, fine-tuning different shots as we saw the final versions of them. MM: There’s a moment in the film I really liked, where the camera goes up the stairs and looks down a hallway to a fan, and you can hear the faint applause of a performance that’s just ended in the background. It’s a momentary breath in such a fast-paced film. SM: Alejandro knew, because he wasn’t going to have the opportunity to create rhythm and space with an edit, that he couldn’t just cut to an establishing shot or linger on a shot. We had our own little tricks to be able to make those transitions last longer or shorter to taste, but he had it very meticulously planned out, knowing that the audience would need those little moments of transition, those little moments to take a breather. MM: Was the look of the space manipulated to bring the audience into the same state of mind as Michael Keaton’s character? SM: It was a combination of things: The hallways and the space itself got a little more confined, and the lenses they were using changed. DC: He would do different takes with certain lenses. It was a matter of figuring out whether we could go from one lens to the next and make it look smooth. They were trying some pretty wide lenses at certain points for different looks. MM: Editors often talk about creating the illusion of invisibility in an edit by focusing an audience completely on the story and the characters. SM: That’s the thing that I find really remarkable about this film. 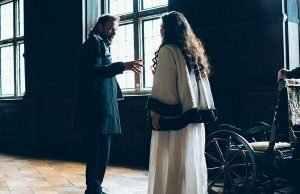 The level of difficulty for the director and for the actors is so much higher in this situation, because all of the effort and decision making is front-loaded. You don’t have the usual opportunity of changing your mind or making adjustments during post. You can do it, but you can only do it within a very, very narrow margin of being able to move this way or that way. Again, it shifts the dynamics of that relationship. Birdman opened in theaters October 17, 2014, courtesy of Fox Searchlight Pictures.